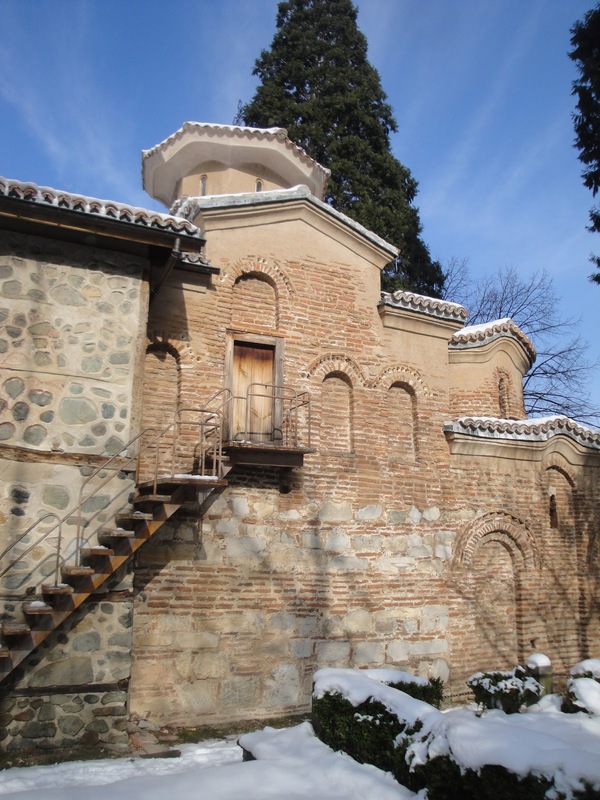 Whenever a friend comes to Sofia, we give the obligatory tour of the sites of Sofia. Which is not very time-consuming. So, when our friend from Korea visited this past week for four days, we couldn't just stay downtown the whole time. Our original plan was to go to Veliko Tarnovo for a day trip. BH and I are horrible at getting up early, however, so this morphed into a shorter day trip to the Boyana church out by the Vitosha mountains. Close enough that you can take a cheap taxi, but away from the pollution of the center. Perfect. Normally, a ticket would cost ten leva, but BH and Myoae were given the free ticket for deaf individuals, and I got the cheap two leva student rate. The church is home to frescoes painted in the 13th century, and is now a UNESCO world heritage site. Because of their age, we were not allowed to take pictures, or even stay in the church longer than ten minutes. A Bulgarian scholar gave us a tour, and explained the meanings of the frescoes and naming all of the saints depicted. I was surprised that this wasn't an orthodox church, because it was built before the schism. Of course, those who attended the church after the schism probably belonged to the Bulgarian orthodox church, but I think this is the first pre-schism church I've seen. The frescoes were beautifully painted, and the best example of Easter Renaissance art. So close to my apartment, and such a perfect day trip. However, the end of the tour gave me a slightly sour taste in my mouth. The guide asked us our religions, and I said I grew up Lutheran, BH Buddhist, and our friend said she was atheist. The guide said that this was ridiculous. That there is no such thing. She went off on this lecture about the importance of religion, and I had to translate to my friends. How is this any of her business?